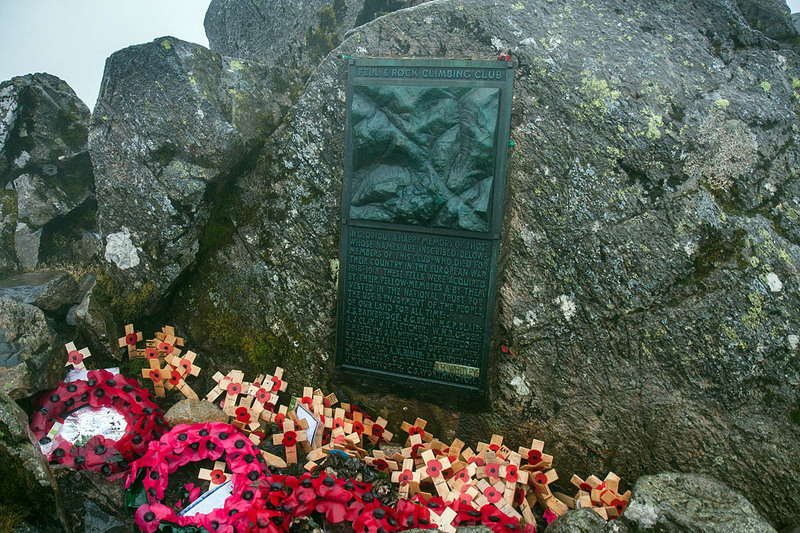 A walker was rescued when he got lost after attending a Remembrance Day ceremony on a Lake District mountain. The 71-year-old man had taken part in the annual event on the summit of Great Gable on Sunday but became disoriented while coming down from the fell. Three mountain rescue teams and a number of Lake District Mountain Rescue Search Dogs were involved in the hunt for the missing man and his dog. A Keswick Mountain Rescue Team spokesperson said: “The weather had been atrocious for much of the day, and he had texted his wife to say he was completely lost. “Quite a lengthy period elapsed while team leaders tried to assess likely areas. Unfortunately, his car was not traced for some while, and the teams had to make best guesses at the route he might have followed. Fortunately he was located in Ennerdale by a member of Cockermouth team fairly swiftly after the teams went out. The rescue lasted more than four hours and involved 18 Keswick MRT members along with Wasdale and Cockermouth volunteers, and six search dogs and handlers. The Wasdale team was also involved in helping a woman who injured her leg near the summit of Great Gable. A Wasdale MRT spokesperson said: “She was helped to walk down to Wasdale Head. As we were descending we came across another party moving with difficulty who also requested assistance. One of them was helped back to Wasdale Head. I was present on Gable Sunday morning when the lady in question injured her leg. She is my partner and was caught by a fierce gust of wind as we approached the summit. She caught her leg on a rock and needed assistance. We were in atrocious and dangerous weather conditions - heavy driving rain and gusts up to around 60 mph. Our team consisted of 7 people, 4 ladies and three men. I stayed with my partner and my daughter as the mountain rescue team gave immediate assistance together with a doctor who assessed her injuries as not life threatening. My partner was abke to walk with assitance and was escorted from the mountain as soon as possible. My daughter and I were escorted to the stretcher box and given directions to Wasdale Head from there. At that time we were now separated from the rest of the group who were unaware of the incident or the actions that had been taken by the rescue team and doctor. We were so lucky that the rescue team were right there as the incident occurred and gave such magnificent support and help in difficult conditions. For this we are eternally grateful - without them we could have been looking at a fatality. The final comment in parenthesis in your report above is rather misleading in that it was not a bit windy & rainy - it was a real storm!! Partner of the lady with the injured leg.